Even with Medicare’s prescription drug coverage, beneficiaries can face substantial out-of-pocket costs, particularly if they use specialty drugs or multiple high-cost brand-name drugs. 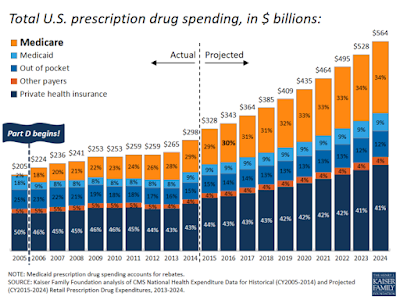 The following series of graphics examines trends in Medicare spending on prescription drugs, how Medicare coverage affects beneficiary access and costs, and what the public thinks about different options for keeping drug costs down. 1. 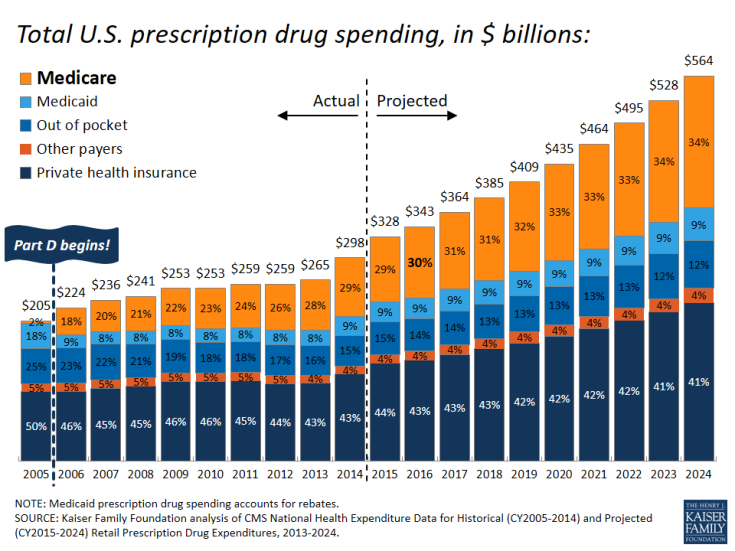 Medicare accounts for a growing share of the nation’s prescription drug spending: 29% in 2014 compared to 18% in 2006, the first year of the Part D benefit.